CHK is 60 years old man from Johor. In May 2018, he had pains in the right lower abdomen. He consulted a GP in his hometown and was told that he had appendicitis. He was advised to see a surgeon in the hospital for an operation. The next day, CHK went to a thoracic specialist in a private hospital. He was told outright that he had to immediately undergo a surgery to remove his appendix (i.e. appendectomy). The next day, 13 May 2018, CHK underwent the operation which cost him RM14,000. While performing the surgery, the doctor found a mild bleeding surrounding the colon. He suspected a growth in the colon. 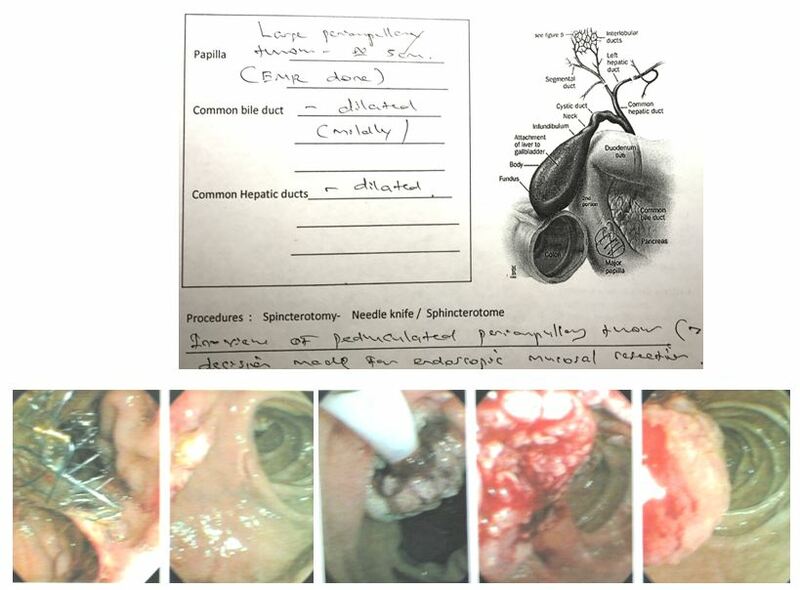 The surgeon also noted that the liver showed symptoms of cirrhosis. After this surgery CHK went home to rest. On 29 May 2018, CHK went back to the hospital again for a colonoscopy. There was a tumour in his colon and 85 percent of the passageway was blocked. A biopsy confirmed adenocarcinoma of the ascending colon. On 29 May 2018, CHK went to seek a second opinion in Kuala Lumpur. An irregular mass in the distal segment of ascending colon, measuring 4.1 x 1 cm and it is 8.6 cm long. There is narrowing of the colonic lumen. There is pericolonic tumour infiltration and the lymph nodes are mildly enlarged. There are two small metastatic liver nodules measuring 1.3 cm and 1.4 cm. On 26 June 2018, CHK underwent another operation (right hemicolectomy) in a private hospital in Kuala Lumpur. 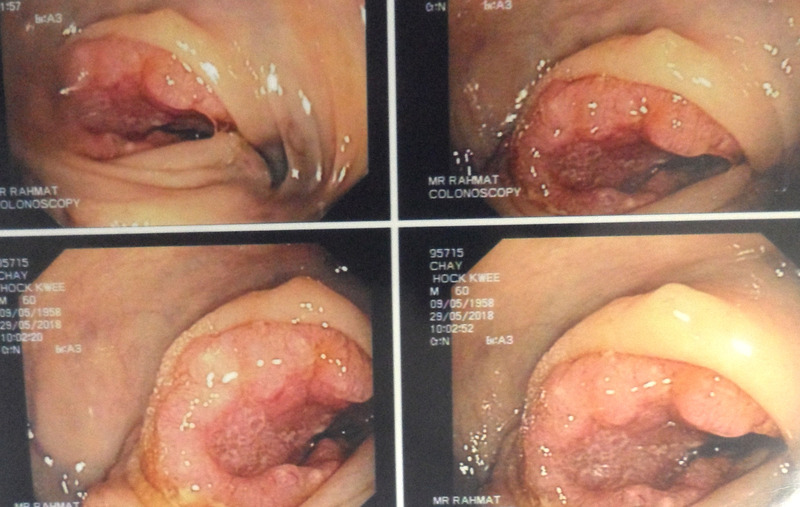 The surgeon removed about 17 cm of the colon, in addition to the omentum. 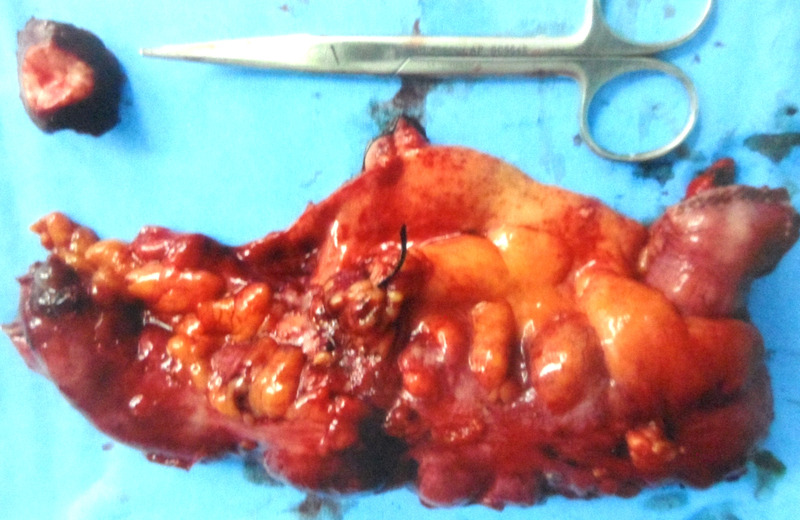 Unfortunately, the surgeon did not do anything to the two metastatic liver nodules. CHK was discharged from the hospital on 1 July 2018. He was given pain killers and anti-inflammatory medication and asked to recuperate at home. He returned to his surgeon for monitoring on 23 July 2018. Two hypermetabolic metastatic nodules in the liver. No abnormal hypermetabolic foci or metastases elsewhere. The oncologist suggested the CHK undergo six cycles of chemotherapy with the view of follow up liver surgery. The drugs to be used are: Erbitux and Folfiri regimen (consisting of Leucovorin + 5-FU and irinotecan). Each cycle of chemo cost RM15,000. CHK’s son-in-law, Jack (not his real name) brought him to Singapore for more opinions. Unfortunately the story is the same — revolving around chemotherapy and surgery. On 26 July 2018, I received an email from Jack. My father-in-law, aged 60 was diagnosed with stage 4 colon cancer and liver metastasis in June 2018. He had undergo a surgical procedure to remove the affected colon part on 26th June 2018 and is now recuperating at home. On 23rd July 2018 he did a PET scan. The result confirmed the cancer had spread to his liver. We also did a few genome testing on the tumor for potential immunotherapy. The result were negative for the “smart bomb” approach. Like most of other patient, we were told to go for chemotherapy treatment with the goal that the lesions in liver will shrink and ready for another surgical removal. I do have strong concerns about the chemo treatment especially with liver cirrhosis condition. At the same time, oncologist couldn’t give me answers about taking care of the immune systems and complications during chemo treatment. Before we make any decision on the next treatment options, we would like to pay you a visit next week. I would love to get your precious input about body healing itself. We clearly understand there is no magic bullet from you and we wish to know more about how to cope and “live” with cancer management. Please find the attached of first time visit form. We will sign the disclaimer form when we visit you at CA Care center. I’ve also prepared a copy of medical history for CA Care center and will bring it along as well. Jack, his wife and his father-in-law came to our centre in early August 2018. Let me share with you what I have said that morning. This certainly apply to all patients who want to come and see us. May be you can learn something from this case. At CA Care we don’t play god. We do not promise you a cure. 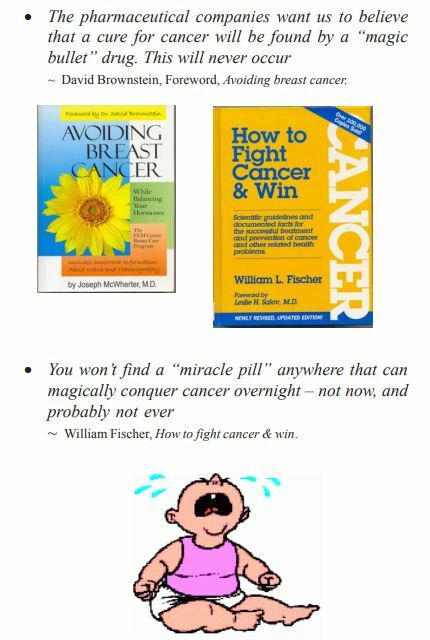 We also don’t want to mislead you into believing that we have a magic bullet for your cancer. We can only do our best to help you if you want to help yourself. Unfortunately, most patients (I say again, MOST) who come to us, are searching for a cure! Some want healing on their own terms without wanting to help themselves. There is no point taking our herbs if you insist on picking only what you want to do. Most of the time too, if I find that the patients are not up to the “mark”, I would suggest that they go home and think about it first. I also ask them to go home and pray to ask for guidance. When I received the above email from Jack, my instinct tells me that CHK is going to be a “good” patient. Jack reads and he knows what he wants for his father-in-law. He is not looking for a cure because he knows there is NO cure. What he wants is for his father-in-law to be able to live a life without any suffering — can eat, can sleep, can more around and there is no pain. What else do you want? But we do have patients who are not satisfied with that. They want to be cured! Before you undergo any treatment, ask, if surgery or chemotherapy / radiotherapy, is going to cure you? See what the answer is. Then go to the internet and check what the ordinary folks have got to say after receiving such treatments. In this case, CHK started off with an operation of his appendix only to be told that there was something in his colon and liver. How could that be? Why the “rush” to do the appendectomy? Did the doctor not give the patient a thorough check? Apparently he did but sorely missed the target. No focal liver lesion. Kidney, pancreas, gallbladder are all normal. How reliable is the ultrasound result then? While performing the operation the surgeon suspected where was a tumour in the colon. And he also saw that the liver was NOT normal. With metastatic liver cancer, CHK was asked to undergo chemotherapy using Erbitux and Folfiri regimen. A total of six cycles would cost a cool RM90,000. But what good can you expect to get from this expenditure? Go to the website and read the side effects of the treatment. Then go and “hunt” for data to see if such treatment did ever cure such metastatic cancer. Jack had probably done his homework before he came to CA Care. All patient should do the same! Go for surgery and get the tumour totally removed. Generally this is my advice to all patients if you have cancer of the breast, colon, stomach, sarcoma, etc. If you don’t want to remove it, I would tell you not to come and see me. Our herbs cannot make your tumour go away. But if the cancer has already spread to other organs, then surgery may not be as helpful anymore. However, there are exceptions. Over the years, I have seen that surgery can do more harm than good if you have cancer of the brain, liver, lung and pancreas. If you have any of these cancer, I would not push you to go for surgery. I would want you to ponder carefully what you want to do. Perhaps there are time when you need to learn how to live with your cancer rather than trying to chase the non-existent cure. Learning to live with your cancer. For CHK, whatever he does, we all agree that his metastatic cancer cannot be cured. Well, the mantra is: Go for chemo so that the cancer does not spread more, or Do chemo to prolong life, or Do chemo to enhance quality of life. If you have been following what I have been writing in this blog, you will know that such statements have to be taken with a heavy pinch of salt. They may not make sense. So when CHK came to us, my first point is that we cannot cure his cancer. But we may be able to help him live a good life. There is no obsession of wanting to kill the cancer cells or going to war with cancer. Learn from your TV that no one wins in a war — see what is happening to Middle East today or Vietnam some years ago! But Americans never learn their mistakes. The same can be said about cancer. Fight and declare war on your cancer — the patient may just die sooner. For cancer patients, it is better to learn how to live with the cancer. Take care of your diet. Lead a stress-free life. Turn to your god for guidance and comfort. Yes, doctors say eat what you like, food has nothing to do with your cancer. I say, no! Eat what you like and you die sooner. I have seen many patients suffer recurrence after taking bad food. So, what is happening to CHK after he decided to follow our therapy? The following are the e-mail exchanges we had over the past months. Slightly more tired. Taking more nap in afternoon as compare to previous weeks. Increased of bowel movement (2-3 times/day). Dark stools similar to color of the boiled herbs. Yesterday, we completed two weeks of the treatment. My father in law continue to do well and coping better with new lifestyle. Increase bowel movement (2-3 times). Sometimes loose bowel. It’s already three weeks he is on herbs. He continue to do well. All the previous symptoms seems to go away. The only concern now is he continue losing weight despite eating well. Reply: Did I give you SuperP (protein). That will make him better. Just take it as food once or twice a day. Professor, we manage to take the result from PATH LAB today. The numbers on tumor markers were worrisome. The latest result shows the CEA spike to 11 from previous 5.5 while CA 19.9 increases to 55.2 from previous 19. Reply: The results are not good. If the numbers double after one month — no good. Professor, my father in law is doing fine overall with exception of the numbness and cramp pain issue which I shared with you previously. His cramp pain now “move” from the right side (where surgery was done) and occasionally towards the left. It’s like Chinese saying “wind pain” if you know what I meant. It is not very painful type and it does happen intermittently especially when he goes jogging. However, it is getting more frequent as day pass. The surgeon we went back for follow up, described this will prolong for some months and he is fine as long as he doesn’t vomit or passing blood in stools. We intend to bring him for colonoscopy to find out reason of the abdominal pain but this procedure will give him sedative. Do you foresee any issue on this? Can you share with me your thoughts & experiences with other colon cancer patients on this one? Other than the above symptom, he is doing fairly well with his routine even though the tumor marker increased in the previous blood test. He sleep well, eat well and go out meet with friends by himself. Bowel movement is good too. Reply: OK. If pain moves from one spot to another that may be due to wind. That is easy. I have herbs for that. You can try Stomach Function tea — need to boil like other teas or take Gastrovit — no need to boil. Professor, I want to share the latest blood test result that we did last week. Again, he failed the blood test. CEA continues to increase from previous 11.1 to 18.9 while CA 19.9 increases from previous 55.2 to 84.6. Physically, my father-in-law is doing well. No pain, good appetite, sleep well and jogging almost every morning. Just like normal person. He still lose weight but at very slow pace. Overall he look good without looking at the medical record. We are under impression that his healing might be slower since healing take time. Sometime we have to get worse before we get better. Are we the only odd one that have this kind of result? I look forward to your experience on this. On a side note, we have amazing experience with e-therapy. I was having flu and I manage to recover in three days just using the machine alone. My father in law tried the program 72 – Stomach Function for three days and he can feel the wind pain is almost gone. Reply: No, I don’t think so. The fact that CEA and CA19.9 increase significantly over so short period of time means something is not right. This is not good at all. I must say I am disappointed. May be there is still something inside. Yes, once a while I do get such case. Do you think you want to see the doctor? May be a PET scan can show what is not right. But then after that it may mean chemo. I have given him all the herbs that I have. There is NOTHING more that I can give to solve the rising tumour markers. CHK is doing okay BUT his CEA and CA19.9 markers are rising. Something is not right somewhere. As I have written to Jack, I really don’t have anything else to give his father-in-law to address that problem. May be we just have to learn to live with it. Accept that reality. A rising marker level is not good sign but a high maker level in itself is not going to kill him yet. No, some of you may want to argue that to stop the CEA and CA19.9 from rising, CHK should go for chemo! Yes, that may be true. You can achieve “temporary happiness” for a while. But I have seen cases after cases of tumour marker levels shooting up high again after an initial decrease with chemotherapy. Do your homework well. Don’t just simply believe everything that you are told. Make sure that you know the truth. Don’t be impressed just because someone is said to be an expert. Lay out all your options and make your own informed decision. Remember, you are the one who has to suffer the consequences of your action, not the so called expert. Over the years, I have come to sense that the “cancer world” is a rotten world. It is good to be aware of it. Read these articles below to get an idea of what I am talking about. Gone ! 4 cm cyst disappeared after herbs! Daisy (not real name) is a 42-year-old Indonesian. She had a 5 x 3 cm cancerous tumour in her cervix. She underwent an operation to remove the tumour in November 2016. After the surgery, she told her doctor that she did not want to go for chemotherapy. She wanted to take herbs instead. Okay — no problem! Daisy was well after that. She used to be “plump” but after taking care of her diet her weight went down to 59 kg from 76 kg. She looked fairer and prettier! On check up in July 2017, her doctor found a cyst in her abdomen about 48 mm in size. The doctor suggested there was no need to do anything yet, just wait and see. 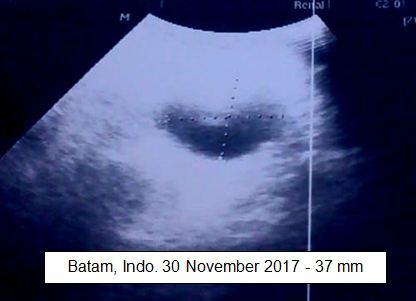 In November 2017, a repeat USG was done in Batam, Indonesia. The doctor told Daisy the cyst was still there and it measured 37 mm. At this point in time, I prescribed Daisy herbal teas — GY 5 and GY 6. Hopefully the teas will get rid of the cyst! In April 2018, Daisy came to our centre with a smiling, happy face! She just went to her doctor in Batam and did a second USG. The cyst was gone! Chris: Okay, how are you now? Daisy: A few days ago, I went to my doctor and did an USG. The cyst is gone. C: God helped you! Before the herbs, what was your problem? D: When I bend forward, I felt pain. Now there is no pain. C: Earlier on, you said you had “twisting” pain in the abdomen when you were tired. C: Some months back, an USG showed there was a 4 cm cyst. Then another USG later said it was 2.7 cm. and now it is gone. How long were you taking the herbs? C: You believe that? You believe what the doctor told you? C: Is it true or not, I really don’t know. Did the doctor know that you had a cyst in there? Did the doctor ask you what you did to make the cyst do away? D: The doctor knew I have a cyst (3.7 cm) and the doctor knew I refused to undergo chemotherapy. No, the doctor did ask or want to know why. C: Okay, after another 2 or 3 months, go and do another USG. D: The doctor told me to come again after one year! C: Laugh. You can go to another doctor and ask to do another USG. Don’t have to go back to the same doctor. We just want to know that the last USG is really correct or not. So let’s see what happen after another 2 or 3 months. There is nothing unusual about this case. We have seen that our herbs, GY 5 and GY 6, each tea taken once a day, did make cysts go away after a few months. No, you don’t need surgery for such a case! Update: As I have suspected, some months later USG found the cyst again. Why? It is most likely that the followup USG done by the doctor was NOT correct! The doctor gave the wrong information? Yes, this do happen once a while. One Glorious Morning! Our Stage 4th Melanoma-Lung Cancer is still doing fine! A gentleman walked into our centre one morning last week (December 2017). I could not recognise him. Oh yes, this is Guat’s husband. He told me Guat is doing fine. The last time I met Guat was in August 2013. After that Guat was out of our radar, not until this morning when her husband suddenly appeared! What is so special about this case? Yes, very special. Guat is one of three patients who had melanoma or skin cancer that has spread to the lung. This type is rare in our country. Guat was 53 years old then. In 2006, she had been coughing out blood for the whole year. 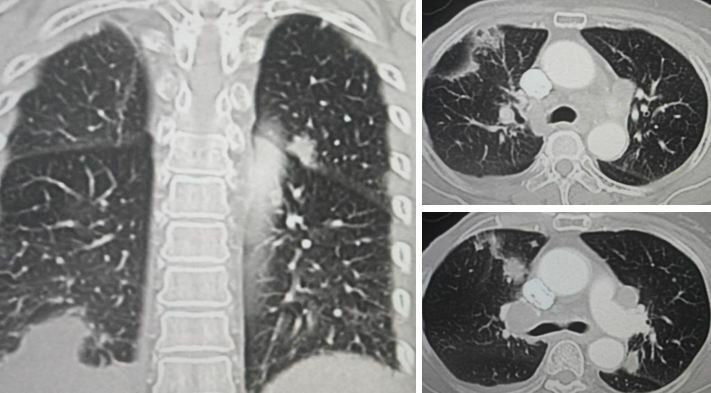 A CT scan on 9 October 2007 showed 2 focal cavitating lesions at the right upper lobe and left lower lobe of her lung, suggestive of pulmonary tuberculosis (TB). But a biopsy performed later showed it was a malignant melanoma (skin cancer). The doctor told Guat that her condition was very serious. She had a Stage 4 cancer. The doctor also said, In my 15 years of experience, this is the only case that I have seen. According to the doctor this cancer originated from a mole. Guat went home and searched her entire body but could not find any mole. The doctor told Guat that her condition was very serious and suggested chemotherapy and radiotherapy. Guat refused medical treatments and came to seek our help on 2 November 2007. And according to her husband this morning, Guat is still healthy and very much alive after 10 years! Melanoma is a deadly disease for which chemotherapy or radiotherapy does not seem to be effective. We are really lucky that it is a rare disease – at least in Malaysia. Over the 20 plus years dealing with cancer patients, we encountered less than a dozen cases of melanoma. The prognosis of patients with metastatic MM is grim, with a 5-years survival rate between 5-19%, and is dictated by the location and the number of metastases. 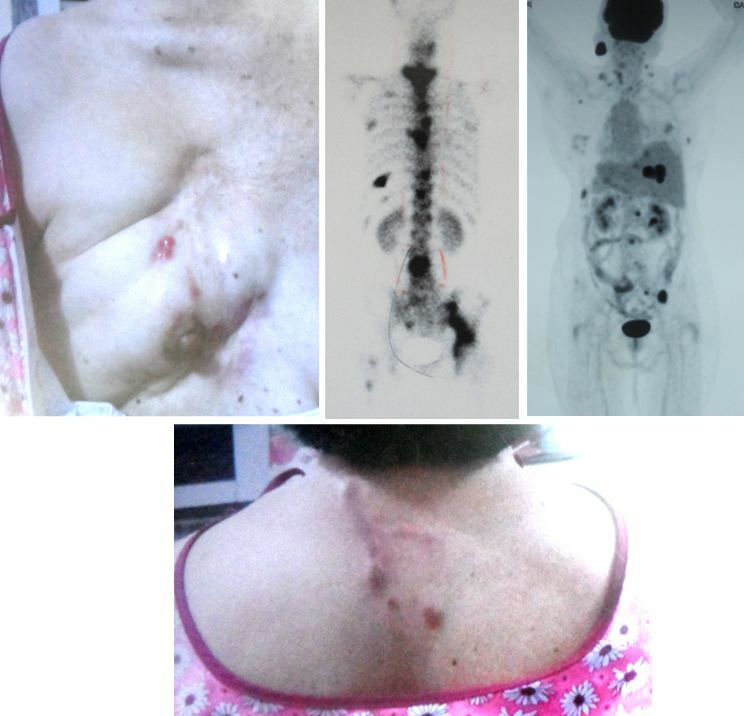 Between 2008 and 2013, 155 patients with cutaneous MM were diagnosed in our clinic. 5% of the patients developed metastases in different organs, especially the brain. 6% of those with metastases died during the study (5 years). The median overall survival, estimated for the entire group of patients who developed metastases, was of 5.3 months. Is there a cure for stage 4 metastatic melanoma? Stage 4 melanoma means the cancer has spread to other parts of the body, such as the lungs, brain, or other organs and tissue. It may have also spread to lymph nodes. As such, stage 4 melanoma is often hard to cure with current treatments. The five-year survival rate is only about 15 to 20 percent. Being such a late stage melanoma, the metastatic stage has a 10-year survival rate of less than 10% (NIH 2009), with a life expectancy of 2-7 months, depending on the number of organs the cancer has spread to (Treatment Trials 2010). Bile duct Cancer: To live or to die is your choice! LY is a 68-year-old lady from Indonesia. In late 2015, she had fevers on and off. This had been going on for some six months. At the end of February 2016, LY went to a private hospital in Johor for check up. The tumour makers were normal: Alpha-fetoprotein = 1.9, CEA = 1.6 and CA 19.9 less than 2.0. MRI done on the next day showed dilatation of the CBD (common bile duct). There is a round mass lesion in the lower end of the CBD protruding into the duodenum. Impression: biliary obstruction due to a polypoid mass arising from the lower end of CBD — ampullary tumour ? LY was asked to do a scope but she refused. She decided to come and seek our help. After going through her medical reports, I advised LY to see a “liver” specialist in one private hospital in Penang. I advised LY that she might need to install a stent and clear off the blockage in the bile duct. After this is done, she can come back to see me again if she wants to take herbs. Blood test done on 14 March 2016, showed LY’s liver function had deteriorated. CT showed a soft tissue mass at the ampulla of vater measuring 2.1 cm x 2.2 cm. The common bile duct is also dilated with greatest diameter measuring 2.3 cm. LY’s problem was diagnosed as cancer of the ampulla with biliary obstruction. There is no evidence of liver metastasis. LY underwent an Endoscopic Mucosal Resection (EMR) and pathology report confirmed a Grade 2 adenocarcinoma of the periampullary region. An expandable metal biliary stent (8 cm x 10 mm) was inserted at the common bile duct. Blood test two days after the stenting showed improvements of her liver function enzymes. LY was asked to undergo follow-up chemotherapy. She refused to see an oncologist and came back to seek our help again. LY was prescribed Capsule A, C, D and M, in addition to Liver-1 tea. 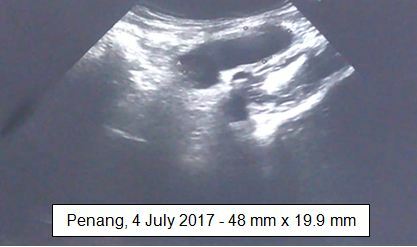 Ultrasound on 19 March 2017 showed a large stone or sludge, 3.8 cm, in the gall bladder. There is a 3.1 x 3.7 cm septated cyst in the spleen. Ultrasound of the pelvis and X-ray of the chest showed no abnormality. In July 2017, LY felt discomfort in the liver region. She came to see her surgeon again in Penang. CT scan on 22 August 2017, showed the common bile duct and intrahepatic ducts are dilated with greatest diameter of CBD measuring 2.3 cm. Intraluminal soft tissue tumour thrombus nearly completely filled up the biliary stent in keeping with biliary obstruction and could represent cholangiocarcinoma. The doctor flushed off the obstruction. LY felt better. This procedure cost RM 2,800. LY came to our centre and told us what had happened. She looked good. For the past fifteen months, LY was doing fine and led a normal life. Only the past 2 months did she feel discomfort. Did you take care of your diet? Not exactly! She said at times she took fried food! I told LY, If you want to live longer, take care of your diet. LY installed a metal stent in her bile duct and refused chemotherapy. So far she had lived a normal life! So patients, to live or to die is your choice! Know that you have a choice. Know also that what you choose to do will determine how you live and die later. Let me reproduce the emails I received from Canada. 14 November 2016: Dear Dr. Teo: I am hoping that you will be able to help us. My mother has cholangiocarcinoma with metastasis to the liver. Her primary tumour is just outside the liver in the common bile duct. I have attached her recent MRI and blood work. We are heading to the hospital right now because she has had a fever around 100-101 degrees F for several hours. She has two plastic stents in the bile duct which are situated side by side. In the last couple of days she is having some sharp pain over the spleen area. She is on a mainly vegetarian diet since she was diagnosed June 29, 2016. Her plastic stent is likely infected and her surgeon will change it this Tuesday. I hope it doesn’t get worse by then. As you can see, she is in no shape to travel. She is dependent on me to take care of her. I know that you do not believe in treating patients at a distance without meeting the patient or a knowledgeable family member in person. However, we are praying that God will send someone like you who can help us. We put all of this in God’s hands and are praying you will be able to help us. I would greatly appreciate hearing back from you. My mother has not had any chemo, radiation or surgery. She is still eating and can walk for 25 minutes without stopping. morphine, buscopan, ursadiol, acid reducer ( pantalog), unfortunately salt tablet because sodium and albumin is very low, dexamethasone, blood thinner – ?daltoperrin – a small clot was found in her lung. She has a paracentesis stent draining her abdomen and she has leg edema. She is no longer on meropenum for a possible infection even though blood cultures came back negative. Could localized in bile duct. 22 May 2017: If I knew in December 2016 she would have made it this far before the Dec 2016 stent got blocked, we would have taken a plane to come to see you. It may be too far gone, but I know with God anything is possible. She is very weak and cannot walk anymore and hardly eating. The hospital staff keep trying to give her morphine around the clock even when she doesn’t want it. The morphine and buscopan had her so constipated for 4 days that she could not have a bowel movement even after using the hospital protocols and my coffee enema. My mother is still hanging on and has not been in hospital since Dec 22, 2016 when she got the two plastic stents in addition to the metal stent she previously had. We have taken the kid and liv teas and the one for constipation. She has some leg pains at night and I am contemplating giving the pain tea for it . Bilirubin is 14, but ALT is about 499 and GGT about 440. I think she could benefit from the capsules but cannot do so without your guidance and feedback about healing reactions to expect . 23 May 2017: Dr. Chris, …. everything went downhill when the stent procedure didn’t work and the rest of the family who know nothing about health and who don’t want to learn anything new insisted she stay in the hospital for the past month in palliative care with no fresh air, sunshine or healthful food and supplements/herbs etc and was just fed painkillers etc. The doctors say it may happen anytime and she is so weak that it could be days. Her albumin is only 14 or 15 and her sodium was 116. She has been taking 4 g of NaCl capsules each day and the sodium is up temporarily to 121-125. Sometimes she has problems swallowing when she is sedated. However, she had begged me to take her home which I intend to do tomorrow. 5 August 2017: Sadly my Mom passed away May 29th. My siblings argued with me and kept her in the hospital and it broke my heart to see them kill her with drugs. So we were never able to use your herbs. My 65 year old brother just got diagnosed with small cell ca of the lung – 7 cm which they told him that surgery is not an option. Chemo or radiation. Could these herbs help him? Reply: Like your mom too, no, I cannot help patients from faraway places! Let the doctors help him. The above story happened in Canada. Here are stories which happened in Malaysia. My dad (aged 75) has been diagnosed with bile duct cancer – advanced stage. Here are some stories of hope and success! Had Three Cancers! Three To 12 Months To Live. Three years on CA Care Therapy still okay! Advanced Bile Duct-Liver Cancer: Doctor’s prognosis three months — Now one and half years, still alive! A Tale of Two Patients: Alive and healthy — miraculous healing or fluke shot? There is a town in Indonesia where it appears everybody seems to know everybody — that is, if you are a somebody in town. Many patients came to see us because “somebody” told them about us. For us too, we often learn about the wellbeing of our patients from “somebody” who came to visit us! Here is a story of two patients who are from this dynamic town. AS was 65 years old when he was diagnosed liver cancer. 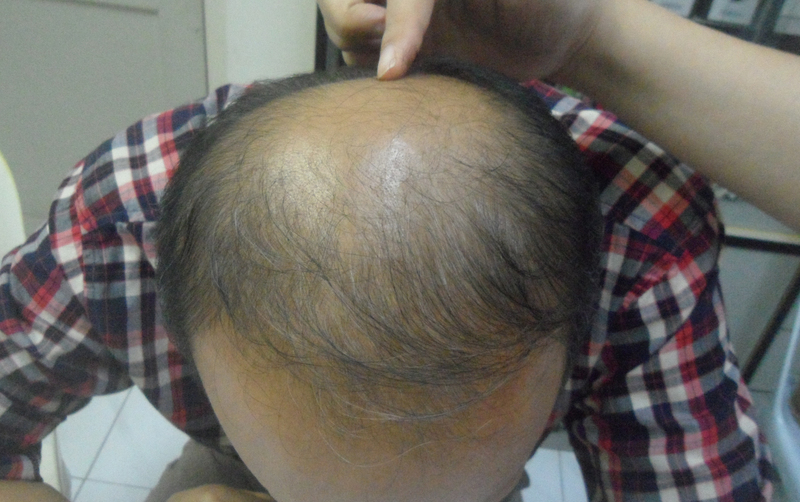 His problem started in late December 2011 when he felt gastric-like pain in the abdomen. His doctor suspected gallbladder infection. He went to Jakarta and underwent a surgery to remove his gallbladder. During the operation, the surgeon also did a liver biopsy for suspicious liver tumour. In February 2012, AS went to the National Cancer Centre in Singapore for follow-up treatment. A PET / CT revealed a 3.2 x 2.6 cm in the left lobe of his liver. AS did nothing after this. But two months later, AS did another CT scan. The tumour had grown in size. On 3 May 2012, AS underwent a surgery to remove the tumour. The procedure cost him SGD28,000. Liver histology indicated a hepatocellular carcinoma (HCC or liver cancer) and it was 4 cm in size. About three months after the surgery, AS went back to Singapore for a review. A repeat CT showed NO evidence of recurrent HCC or focal liver lesion. Unfortunately six months later (i.e. about 9 months after the surgery) another PET /CT revealed a new recurrent mass in the liver measuring 8.0 x 4.8 cm. Surgery failed and AS was asked to undergo chemotherapy. On 22 March 2013, AS underwent TACE (transarterial chemo embolization). Unfortunately, the interventional radiologist was unable to access the tumour feeding vessel. TACE was aborted. In spite of the failure, AS had to pay S$5,000 for the procedure. AS was discharged on 25 March 2013 and was referred to an oncologist for intravenous chemotherapy. AS was disappointed with the doctors and decided to give up further medical treatment. He came to seek our help. AS was prescribed Capsule A, B, C and D. In addition he had to take LL-tea, Liver 1 and Liver 2 teas. We sent him for a blood test. The results as of 15 April 2013, showed his alpha-fetoprotein = 1,064.0 and total bilirubin = 25.0. Other liver function enzymes were within normal range. Eight months after taking the herbs, a CT indicated the tumour had shrunk to 5.2 x 2.2 x 3.9 cm in size (from 8.0 x 4.8 cm). About 2 years later, 18 January 2015, AS and his wife came to visit us. AS’s wife was very agitated and upset. Since the past few weeks AS had been taking “bad food” – food that we tell patients not to eat. On top of that AS sometimes was not taking the herbs properly. Briefly my message to AS (and also all cancer patients) that night was very clear, crude and blunt. When patients are “half dead,” they would follow our advice without protest. But when they get well, most of them will “misbehave.” That is normal. To live or to die is your choice. There is no need to be upset about the patient’s choice. If he wants to die, let him die. My experiences have shown that if patients eat anything they like, this “good time” would probably last about 2 months. After that the cancer would recur and they would not be able “enjoy” food anymore. I also told AS, Perhaps it is time you stop taking the herbs. Go home and eat a lot of what you want to eat and “go” faster. AS had lived for almost 2 years. He should be grateful that he is still alive – healthy and without pain. What more do you want? Be grateful for what you are now! I wish to state too that telling AS the above was not done with anger! But I suspect these words were too harsh for him. I did not get to see AS again! Later I learned that AS is a somebody in his town! He owns rubber plantations and his son-in-law is a medical doctor! Did his son-in-law stop him from taking our herbs? No, on the contrary, his son-in-law was the one who asked him to come and see us after the medical treatment in Singapore had failed. It is now 2017 — it has been four years since we first met AS. What has happened to him? Many visitors from his town told us he is still healthy and doing fine! Let’s hear what Jaya has got to tell us about AS in the video below. Chris: Let me ask you about your friend with liver cancer, who brought you here. I did not get to see him anymore. Is he still alive? And healthy? Wife of Jaya: Yes, yes. C: Have you seen him lately? When was the last time you saw him? W: I met him and his wife in the market, a few days ago. C: And he is really healthy? W: Yes and he has a big tummy and his face looks pink and healthy. W: Yes, very much alive! His son-in-law is a medical doctor. It is his son-in-law who asked him to come and see you. C: Oh, the son-in-law did not object him taking our herbs? C: I am really happy to know that he is doing fine. That is the most important thing. Good for him. In your past conversation with him, did you ever hear him saying that the herbs are not effective and that is why he does not want to continue taking it anymore? W: No, never. He said he is already old (72 years already). So there is no need to take anymore herbs. But he said he still takes care of his diet. C: The last time he and his wife came here, I remember I scolded him for not wanting to take care of his diet. His wife was also mad at him. May be because of that that he did not want to see me anymore. Jaya: Before we came here, his wife talked to me over the phone. She wanted me to send you her regards and let you know that AS is doing fine. Only that he does not want to continue with the herbs anymore. C: That is okay. As long as he is fine, there is no need to take the herbs. Why waste time to come here and waste all the money. I am not unhappy about that. What is important is to know that he is doing okay. Another somebody in town is Jaya. Actually it was AS (above) who brought Jaya to see us in 2015. Jaya was then 48 years old when he was diagnosed with colon cancer — T3N8X, stage 2. He underwent an operation in October 2014. This was done by a surgeon in a Jakarta hospital. A chemo-port was installed and Jaya had 2 cycles of chemotherapy with FLOFOX 6 regimen (oxaliplatin + Leucovarin + 5-FU). The first chemo was on 16 November 2014 and the second on 30 November 2014, done in a hospital in Jakarta. Jaya was scheduled for 10 cycles of chemo, every 2 weeks. 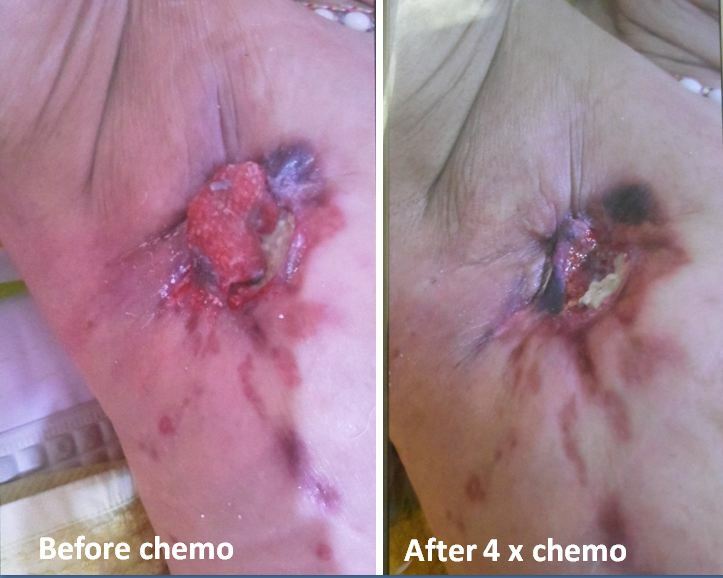 Unfortunately after the second chemo, Jaya developed serious infection. He was rushed to Singapore and was hospitalised for 17 days for Staphylococcus aureus infection (because of chemo-port infection). While in the hospital he remained unconscious for 3 days. The doctor had asked the family members to “get ready.” Fortunately, Jaya recovered from this ordeal. The treatment in Singapore cost him SGD31,118. Jaya and his wife flew together with AS and his wife flew to Penang to seek our help. Jaya did not want to continue with his chemotherapy anymore although his wife insisted that he follows the doctor’s advice. Jaya was started on our herbs and was told to take care of his diet — no more chemo! It has been two years now, Jaya is doing fine, like his friend AS. Chris: What is important now is to ensure that you maintain our wellbeing as it is now. Continue to do the right thing that you are doing now. It has been two years since you first came to see us and was started on the herbs. It seems (based on the blood test results) that everything is just fine. But be careful and know that being good for two years is NOT a cure. Jaya & Wife: (nodding their heads). Ya. C: Don’t ever think that your cancer is already gone and cured. From my experience, I know that we cannot cure any cancer. It will come back! Look at one of our patients there (pointing to a picture). He was with us for more than twenty years. Doing fine. Then the cancer recurred (because he did something wrong). Now he is dead. When AS with recurrent liver tumour first came to see us, we told him that he had a serious problem. I was not sure if I could help him in anyway. I can only do my best. Back in my mind, in a case such as this — 8 cm recurrent tumour in the liver — at best, survival would be six months! I did not expect him to survive! But as this story has it, it has been 4 years now and AS is still healthy. AS had given up further medical treatment after surgery and attempted TACE had failed him. He took herbs and changed his diet. And he survived. That’s amazing! Then you have Jaya. After surgery, he did the so called “right thing” medically. He had two shots of chemo which almost killed him. He had to be rushed to Singapore for help — to clear off his severe infection. Luckily he survived the ordeal when even the doctors thought that he would die. I remember clearly when AS, Jaya and their wives came to see us that night. Jaya wanted to give up chemotherapy. Jaya’s wife wanted him to continue with the chemo. Later commonsense prevailed. Jaya decided to follow our therapy. It has been two years now and Jaya is as healthy as anyone else — yes, without chemo! He took herbs and watch out for his diet. Often patients are being told, If you don’t operate you die! You don’t do chemo you die! You take herbs — that’s unscientific and unproven! Quackery. In the USA, they call people like me, snake oil salesman! Which do to prefer? Snake oil or chemo that may kill you? Y is a 53-year-old Indonesian lady. In early February 2017 went for a pap smear. The result was okay but she was told that she had a 13-cm-cyst in her uterus. Y underwent a hysterectomy. Histopathology report confirmed a leiomyosarcoma and endometrial stromal tumor. After this operation, her right leg swelled and she could not walk (picture below). Y was referred to an oncologist who suggested that she undergo three cycles of chemo to be followed by another surgery. According to the doctor, the swelling was due to a blockage. 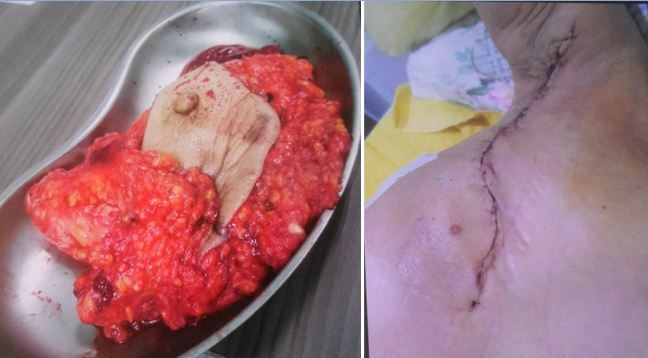 Y refused further medical treatment and started to take Linzhi and Porcupine stone! One capsule of porcupine stone cost IDR300.000 and she took 2 capsules per day. Y’s daughter came to seek our help on behalf of her mother. We prescribed herbs for her to try. 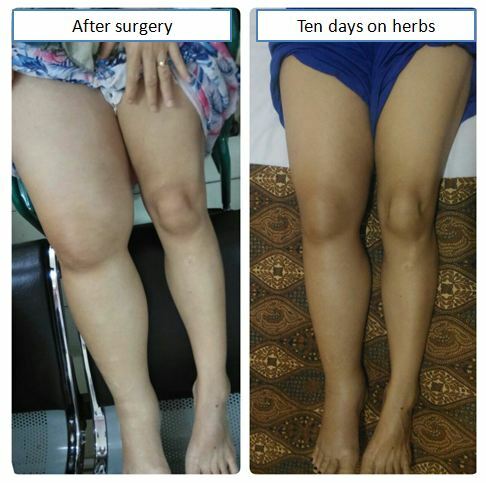 After 10 days on the herbs, the swelling of her right leg subsided (picture above). Y and her family decided to come to Penang. She went to consult a doctor in a private hospital. She was told the cancer had already spread to her kidney. She was asked to see a surgeon. Y refused further surgery and came to see us. Chris: You have a sarcoma that had spread to the kidney. What do you expect me to do? Y: I want you to cure me. C: No, I am sorry, I cannot cure you. After talking to the family, I realised that Y is not an easy patient to handle. I advised her accordingly! Some weeks later, Y’s children — daughter and son — came back to see us again. Listen to our conversation that morning. Chris: When she (your mother) came to see me, I “scolded” her! When she went home, did she take the herbs? C: After taking the herbs, did she get better or worse? D: She is better now! C: She was in pain. So I gave her Pain Tea. After taking this tea, did the pain become more or less? D: For the first two weeks, she still had pain. But after that the pain was reduced. The past two weeks, there is no more pain. C: Before taking the herbs, how was her pain? Son: Pain from head to toe. We could not even touch her — she would feel pain. She could cry when the pain was severe. The whole body was in severe pain. The pain came on and off. C: For each attack of pain, how long did it last? D: About half an hour or so. C: In a day, how often did she get this pain attack? D: Two to three times a day. C: Was this pain attack a result of something that she did? Or for no season the pain just came on? S: But the past week there was no more pain. C: I remember you writing me to say that she wanted to take doctor’s pain medication. D: No, no she did not take any doctor’s painkiller. C: Before you said the pain was so severe that she cried. Now, there was no more pain — even if you touch her, she did not feel pain any more. I must say, I really don’t know how this works! C: You send me a picture of your mother’s legs. You said it was swollen after her operation but after taking the herbs for 10 days the swelling was reduced (picture below). C: Why did you not want to go and see the doctor? C: Why didn’t you want to go for chemo? Tell me, you don’t want her to go or your mother did not want to go? C: Apart from the pain, what other problems has she now? S: She is very tired, no energy. This is because she did not eat and sleep well. S: When she drank the herbal tea, it went it and then out again — vomited. Even food or drink, she would just vomit out. D: She had to take in little by little. C: Even for the herbal tea? Do you think she even manage to take in 50 percent of the teas? C: If she can’t even take in 50 percent of the teas — it’s going to be a difficult story. But what can we do. Let’s try our best. The following are some of the emails written by her daughter. I need your advice about the result of blood, urine, and faeces test that my mom took 2 days before. The doctor here said the result showing my mom’s vomit was because of ‘junk in the blood’ so he advised to take haemodialysis (cuci darah) to reduce the vomit. And from the CA125A test, he said that my mom was at 4th stage cancer. Do you mind to see the result? Reply: I checked your mom’s file. For the vomiting — still vomiting, still cannot eat? I asked to take Appetite and Vomit tea. Also did you take the Lower Edema tea for the swelling of the leg? Yes, we prepared the drink you said and the swelling one. But she cannot drink at all too, once the drink swallowed, she will vomit again. Reply: You should give her the Appetite and Vomit tea first. Stop other teas. Yeah, I confused with this situation. Actually she said that it is not her not wanting to drink. She want but she can’t. LT is a 66-year-old Indonesian male. In December 2015 he had pains in his stomach and started to vomit. He consulted a specialist in Medan and was told it was a pancreas problem. He was given medication but his problem did not go away. In March 2016, he had stomach discomfort again and was hospitalised. The doctor said there was a tumour in his pancreas. LT was told to consult specialist in Kuala Lumpur or Singapore. The doctor in Medan was not able to handle such a case. LT went to a university hospital in Kuala Lumpur. He was told to undergo an operation. The doctor told LT. With the operation there would be a 95 percent chance of berhasil (implying, cure? good result? success?). The family was not impressed and declined surgery. LT went to consult a doctor in a university hospital in Taiwan, as he has a daughter living there. There is a 2.5 x 2.7 x 5.1 cm tumour in the pancreatic head and uncinate process. Dilation of pancreatic duct is noted. Liver metastasis (3.6 cm) in the S8 of liver. The doctor said the only option is surgery but he would not be able to know if the cancer can be removed or not. If he were to open him up and found many more tumours in the pancreas or liver, then we would just close him up and would not proceed further. Faced with such uncertainty, LT declined further medical treatment. A family member searched the internet and found CA Care. The decided to come and consult us. The following is the gist of our conversation that morning. Daughter: We brought him to a hospital in Medan. The doctor said his pancreas was swollen and prescribed some medications. The problem went away. But in March 2016, his stomach was uncomfortable again. He vomited. MRI indicated a tumour in his pancreas. The doctor recommended that we either go to Kuala Lumpur or Singapore for further treatment. So we brought him to Kuala Lumpur. The doctor suggested surgery and told us that this would give a 95 percent result (berhasil). Chris: Wah, 95 percent result — do you know what the doctor meant by 95 percent result. Sure, when you cut out you will surely get some results. But does that mean it is a cure? D: My father was frightened and he refused the operation. So he went to Taiwan for further consultation. D: We have a family member there. And we were told that the doctor in Taiwan is good at treating cancer. The Taiwan doctor also suggested surgery. C: You went to Kuala Lumpur, the doctor asked you to operate and said you have a 95 result. Now, the Taiwan doctor also asked you to operate. D: But the Taiwan doctor said he could not guarantee the result. He did not give us any assurance or guarantee. He said he would open up and see. If the cancer has already spread to many places then he would not proceed further. He would just close it back. C: So you did not go ahead with the operation in Taiwan? D: Yes, and we flew right back to see you here. Son: I found CA Care in the net and told her about it. C: Let me tell you sincerely and honestly. I cannot cure your cancer. From my experience, if you have brain, pancreas, lung or liver cancer, it is better that you do not operate. Surgery may give more problems and make you miserable. That’s my experience. Patient: From the pancreas the cancer had already spread to the liver. C: Yes, that’s even worse. And most of the time, that can happen because the pancreas is just situated next to the liver (see diagram below). C: Did you ask if removing the tumour in the pancreas can cure you? But on the other hand, if you don’t operate and you take my herbs, this is not going to cure you either. So, you need to make your own decision — what you want to do now? P: I want to try your herbs. C: Even if you take my herbs, you need to know that this is not going to cure you! I want to be honest with you. I cannot cure you. And from what I see, no one on earth can cure cancer either. But even if there is no cure, it is okay if you can live a life without any suffering — can eat, can sleep and no pain — we must be thankful for these? After all human beings will have to die one day. So don’t fear death. Whether your life is going to be longer or shorter, all depends on you and your diet. You may be told to eat anything you like. But I say no! D: Yes, the doctors told us to eat anything we like. What you want to eat, just eat! C: Yes, eat what you like and you die sooner. My advice is, Take care of your diet! LT’s daughter and son, came to report her father’s progress. Chris: (Trying to recall) Oh, it has been a year since you came to see me and started to take the herbs. How is your father doing? Daughter: Baik, baik (doing good!). C: Before taking the herbs, was he okay? D: No, he was in pain. C: Now, after the herbs, he can eat, can sleep, no pain, can work? Is that so? Okay? C: So he has no more problems now? Before taking the herbs, was he able to do all these? Son: No, he always slept all day long. D: He could not eat, and would vomit. C: Previously, he walked with difficulty — now okay? Before he had fever? D: Now okay and no more fever. He has good appetite. C: Did he keep to his good diet? C: Is he okay now — can work in the house? D: Ya, can help take care of his grandchild. C: When he first came, he had pancreatic cancer that had spread to his liver. A real difficult problem. Normally patient like that would die within six months or so. And before he dies, he would suffer — painful. Now, it is already one year since he first came here. And he is doing fine. I did not expect this to happen. I did not believe that he could live a normal life like you said. It has been a year. Okay, let’s aim for another year of good health. Let’s see what happen next year! This is indeed unbelievable. It’s God’s blessing — I can’t say more! Now, we need to maintain this good health. We cannot cure his cancer but he can live a good normal life — what else can we do? We have to be careful. Do what is right that makes him well. Don’t change your “good healthy” ways. Never, never, ever do things that’s not right. I am really in awe. I cannot understand or explain this healing. If you ask me earlier …. No, I would have said to you that he would not be able to survive that long. Who would believe this kind of story? Indeed difficult to believe. But remember, do not do anything that is not right. Very good. It’s God blessing. Sam (not real name) is 63 years old. Sometime in June 2016, he had pain in his right arm. An X-ray was done and the doctor said it could be due to muscle problem. He was asked to go for physiotherapy. It did not help. In January 2017, his right arm was swollen and his condition became more serious. He consulted an orthopedic doctor. There was nothing wrong! Sam was admitted into a private hospital on 11 February 2017 for further examination. MRI on 12 February 2017 showed a 3.1 x 2.3 cm mass at the distal humerus (bone in the upper arm) involving the triceps muscle. Incidentally, the doctor also found a suspicious 4.4 x 5.2 cm lesion in the lower zone of his right lung. A CT scan done the next day, 13 February 2017, confirmed the presence of an irregular 4.3 x 4.38 x 3.96 cm mass in his lung. There were also multiple enlarged lymph nodes in the pretracheal and carina. The largest being 2.69 x 1.77 x 1.9 cm and 3.48 x 2.91 x 1.61 cm respectively. In short, the cancer had spread. But the question is: Spread from the lung to the bone, or from the bone to the lung? A biopsy of the bone showed negative for malignancy. A biopsy of the lung showed positive for cancer. The total cost of the 4-day-stay in the hospital for the above procedures cost RM 12,595.90. Target therapy — taking of oral chemo-drug if it is positive for EGFR. Bisphosphonate, a drug that slows down or prevent bone damage. Depending on the type of drug given, this is to be taken either once a day, once a week (on the same day of the week), or once a month (on the same day of the month). Listen to our conversation this morning! Daughter: My father has lung cancer. It is positive for EGFR. The doctor suggested taking the oral targeted therapy, Tarceva. One box, lasting one month, cost about RM8,000. After we take Tarceva for 10 months, and if the medicine works, for the rest of his life the medicine will be free. But must complete the ten boxes first. That’s the deal! Chris: You mean after spending RM80,000 they will give you Tarceva for free for life? But what happen if your father dies before the ten months? D: I was thinking. May be my father cannot last that long. Maybe before the ten boxes, sure die one. C: I have one patient who came and see me. She was asked to take Nevaxar (for liver cancer). The deal was buy one, free one. But must pay RM20,000 first (for the first month’s supply) and next month she will get one month’s supply of Nexavar for free! But after she took the drug for a week, her health deteriorated, had to be hopitalised and she died. Already paid RM20,000, cannot claim back. So back to you, Tarceva is a good deal. Why don’t you want to take the drug? Can take the drug for life and no need to pay. D: (Shaking her head) No, don’t want. C: Did you ask if Tarceva can cure or not? D: It will control the cancer cells, so that they never spread. D: That’s what I asked him (doctor). The tumour is going to be there. C: That means, cannot cure la because the tumour is still there. D: In about 5 percent of patients, the tumour shrink. C: What happen to the 95 percent, tumour never shrink? C: I tell you. For some people the tumour was totally gone after taking the drug. But a few months later, the tumour came back again. And this time it was twice the size. Did the doctor tell you about the side effects of Tarceva? D: Ya, I asked. Diarrhoea, only that. D: Ya, mild one only. C: You believe him or not? C: I tell you. Don’t just listen to me only. I can bluff you. Go back and read more. Read what others say. D: I prefer natural medicine. C: I shall do my best to help you. I shall give you herbal teas for his lung, lymph nodes and bone. The herbs are bitter — awful taste. Can or not? Know that I cannot cure your cancer. But take herbs and see if they can help you or not. If you take the herbs for a month, I am going to ask you if you feel better or not. If you don’t feel better, then no need to come and see me anymore. If you feel better, continue taking the herbs. When can you stop taking the herbs? I really don’t know. But if you are feeling better, why stop it? Because I know there is no cure for cancer. In America, most people with stage 4 lung cancer die within a year. But, I am not saying you are going to die soon. Go home and read the stories (in the website). Of course, all of us have to die. So don’t worry about death. What is important is, don’t die suffering. Want to die also cannot, want to live also cannot. That’s terrible. So, I shall try to help you. If it’s good, continue. If no good, don’t continue. Go home, take care of yourself and take care of your diet. They say knowledge is power. This is true! To me, with cancer, ignorance kills! I am glad that Sam’s daughter is smart! She asked questions. And she “processed” the answers given! In this world today, we read about “fake news”, “fake information”, “cybertrooper”, etc.. So please be on guard and beware. As I was writing this story, one lady came to ask for help. She was also given Tarceva for her lung cancer. For about one month plus, Tarceva seemed good for her. Then she started to suffer side effects. After seven months the side effects were unbearable and she gave up Tarceva totally. No, she did not hit the 10-month-mark! The irony is, this lady is a medical staff of a hospital. She should know better! Google “side effects of Tarceva” and you get this. No, it is more than just mild diarrhoea! redness or soreness around the fingernails. Brain Tumour & Diabetes: 2. Declined Surgery, took herbs — HAPPY! Amar (not real name) is a 49-year-old Indonesian. He has a 4.26 x 5.16 x 2.2 cm lesion in his brain. This was diagnosed as meningioma. He came to Penang in early February 2017 and was scheduled for surgery. The night before the scheduled operation, Amar and his wife prayed for God’s guidance. The next day Amar and his wife came to CA Care, instead of landing himself on an operation table. Read Part 1 of this story. Amar was prescribed herbs. One month later, Amar and his wife came back to see us again. Gist of our conversation that morning. Chris: After taking the herbs for one or two weeks — did you face any problems? A: During the first week, I felt a bit dizzy like something was in my head after I took the herbs. My legs felt uncomfortable — like numb. C; After one week (on the herbs) what happened? C: Okay, let me ask you this — after taking the herbs for a month, what is your condition now compared to a month ago when you were not on the herbs? A: I am very much better now (showing two-thumbs up!). C: I am happy to hear that. Thank God for this blessing. Okay, you said you were better off — how many times better off than before? Two or three times better? A: Five to six times! Before I took the herbs, I felt pulling sensation in my head. After a week on the herbs the sensation was still there and now NO more — gone. A: After I drank the tea, I felt a certain sensation going through my head (can’t describe). It lasted for about two minutes. Then this was all gone. A: Before the herbs, my hands trembled. Now it’s all gone. C: Great, God helped you! C: You said you were on insulin injection for your diabetes before taking the herbs. How long have you been on this? A: Since December 2016 (when I was diagnosed with brain tumour). My blood sugar level was 600 plus. C: You went to the doctor (in Jakarta) and he gave you medication? Wife: Yes, Nocid, Eclid, Glucophage and Novorapid (injection). C: Wah, four medication for your diabetes? So many? A: Insulin injection, three times a day. Each time 10 units. C: After the injection and the medicine, your diabetes got better? A: The sugar level went down. C: When you were on the medications, how was your health? Any side effects? A: I had kidney pain. Then my liver also became painful. C: Liver pain — how was it like? Pulling pain? Sharp pain? Dull pain? A: Ya, dull pain. These pains started after I took the medications. C: Okay, then you started taking the herbs — what happened then? A: I got better. Before I needed 10 units of insulin, times days a day. Then with the herbs, I reduced it to 4 units thrice a day. A few days ago, I was off the insulin totally. No more insulin injection! C: What about the oral medications? A: No more oral medications as well. C: So your diabetes was gone? A: Hairs started to grow from the bald patch of my head! Wife: Before that the patch at the back of his head was totally bald! (Note where the wife was pointing at). Look at this area. Before the herbs it was totally clean. C: Har? Ha, ha. Yes, I know that after taking the herbs, white hairs can turn black or gray. I have seen that happen many times. But for your bald head to grow new hairs — this is a new story! C: Very interesting. Your liver function enzyme, GGT dropped from 198 (on 5 February 2017) to 117 (on 13 March 2017). Very good. We should try to half it. At 117 it is still too high. A: I was ready to go for the operation. The doctor wanted to remove the mass in my brain. It was big, 4.26 x 5.16 x 2.2 cm. C: You had seizure because of that? A: Yes, I had seizure, twice. That was why I was hospitalised in December 2016. C: After you took the herbs, do you still have seizure? C: Thank God for this! C: The herbs — I know very well — are bitter. How do you cope with the taste? A: After some time, it became good taste! C: Ha, ha. The first time — was it difficult to drink? A: I had to bite apple after I drank the tea! C: Brain 1 and Brain 2 teas — which one is worse? A: Both have equally bad taste. But later, I got used to them. Now, it is all good tasting! Stay on Course – Don’t Do What You Are Not Supposed To Do! C: This is indeed an amazing healing story. I must admit I can’t explain why. But I do know that our brain teas are good for many patients. My advice now is stay on course. Don’t do what you are not supposed to do! You need to take care of yourself carefully. Maintain that good health. Don’t do anything wrong! We have posted many stories about brain cancer. It is up to you to learn from the experiences of these patients. But let me highlight three stories. 1. Brain Cancer: Operation, Radiation, Blind After Two Weeks: This is a 32-year-old Indonesian male from Riau. Like Amar, he had a seizure. CT later showed a tumour in his brain. He was asked to immediately undergo a brain surgery. The doctor said that was the only option left. The risk of surgery would be: memory loss or total blindness. Yes, he became blind two weeks after radiotherapy post surgery. Amar in this case, was also warned that surgery for his brain could result in a stroke or paralysis. Perhaps it was a blessing that Amar did not undergo that surgery. 2. Brain Tumour: No to Surgery: Also from Riau, Indonesia, this 35-year-old Indonesian lady has a tumour in her brain. Her family refused surgery and decided to take our herbs. She became well and could lead a normal life. Her husband wrote to say that she has since gone back to work. 3. Living With Her Brain Tumour for Seventeen Years. This 51-year-old Indonesian lady was diagnosed with brain tumour after two seizures — just like Amar. She was 35 years old then. The doctor said the tumour was too big and it had to be removed bit by bit, meaning she has to undergo three operations to remove all the mass. The family refused the surgery. Up to this day, 17 years later, she is still doing fine — minus surgery. Like Amar, her tumour is a meningioma. Amar came to us with a mass in his brain — also a meningioma. He decided not to undergo surgery. That was his decision, perhaps guided by his God (also our God!). We did not send Amar away. Generally if you have a tumour in your breast, colon, uterus, etc. we would send you to your surgeons first. Get it out before you follow our therapy. But for the brain, pancreas, liver and lung we have seen enough disastrous results after surgery. When Amar decided to take our herbs, we warned him that our herbs are not magic potions. And we are not god either. So don’t expect a cure — because we believe that no one on earth can cure any cancer. Don’t expect the tumour to disappear either. Just learn to live with your cancer, that’s our approach. In one of the stories above, someone went blind after his brain surgery. We are sure many died too — but the dead do not come to see us. So we don’t know about such cases. When Amar came back again after a month, the first question we asked was: Are you getting better? If Amar did not get better or did not derive any benefit by taking our herbs, we would advise him to stop taking our herbs. Don’t waste your money and time. Go and find someone else for help. Amar said he was far better after taking the herbs. He gave his reasons why he got better — that’s important to know why he said so. There is no reason to believe that he is making up his story! I reminded Amar that it is a blessing indeed that he became well just after a month. But this “wellness” would not last if he does not stay on course! Do something wrong and he will be back in the pit again! Many people don’t like to hear this — they think that I am blaming them! Know that your health is your responsibility. To stay healthy and be alive is your choice. If you make a wrong move, you die. As simple as that. From my years of experienice most patients will forget what we taught them after they get well. Yes, they will curse Chris Teo because they cannot eat this or cannot eat that. One more sore thing, Chris Teo’s herbs are bitter and taste terrible. After a while these patients will “cheat” themselves — taking only one tea a day instead of 2 or 3 as prescribed. Or they take them once every 2 or 3 days. They cut corners left and right. Well, it is your life. Do what suits you. We are not blaming you! And if you take the herbs and you don’t get better, don’t blame us either. For certain kaisu people, I just wonder why they ever come and seek our help and want to take my herbs in the first place! As I am writing this passage, let me tell you this — I replied to many emails and said, Do not come and see me. I cannot cure your cancer! Still they insisted on coming! Why? Because medical treatments cannot cure them. Over the years dealing with cancer patients, I come to understand one thing. Cancer is man-made. Go and see a mirror. Ask that person in the mirror, what has gone wrong? No, most of us don’t want or never want to admit our short comings. It is always someone else’s fault. Or if there is no ready scapegoat, they blame it on their luck, fate or karma. So be it. But, to me and you can disagree with me, cancer is about human being …. it is about you! After talking to Amar, I found him a positive patient. This is a person who sees a glass of water half full, not half empty. He did find the herbs are bad tasting. He had to bite an apple to help him swallow that bitter stuff. But later he said the herbs are good tasting. It’s his attitude that changed, the herbs were the same! How many are like Amar — very few, 30 percent at most. The remaining 70 percent of patients who come to see us never make it — to them the glass is always half empty. Why don’t they go find someone better? There are many ways to deal with your cancer. One patient wrote to say that she had opted for targeted therapy and hyperthermia (very scientific, high sounding names, right?) after she gave up on our herbs. Others went on to try immunotherapy, cryo- or radio-frequently ablation. Yet other said music therapy, laughter therapy, bio- frequency, etc. are great. By all means, go ahead and find your own way! And after your survive long enough why don’t you share your success story! Teach and help others too! I hope to write a review on Dorit Rishono-Mandil, the author of Leaving No Stone Unturned. She said, I believe that each patient must seek their own way, educate themselves on their options and choose therapists and therapies they feel comfortable with …. There isn’t one single path to recovery that’s better than the others. P/S: If you have diabetes or are bald, please don’t write me for help after reading this story. I cannot help you. I only work with cancer patients. I am aware that when SN,40-year-old lady, came to see us it was because she did not want to go for chemotherapy. She had a mastectomy but decided to go for Gerson Therapy and taking a whole lot of supplements as follow-up treatment. Unfortunately, she failed miserably. Within a few months, the aggressive cancer came back as in the picture below. The cancer had spread to the lymph nodes, hence the swelling at her collar bone. Facing this severe (and dangerous) problem, what can be a sensible thing to do? Stick to your failed “dogma and belief”? Or do you look for “other ways” to solve your problem? 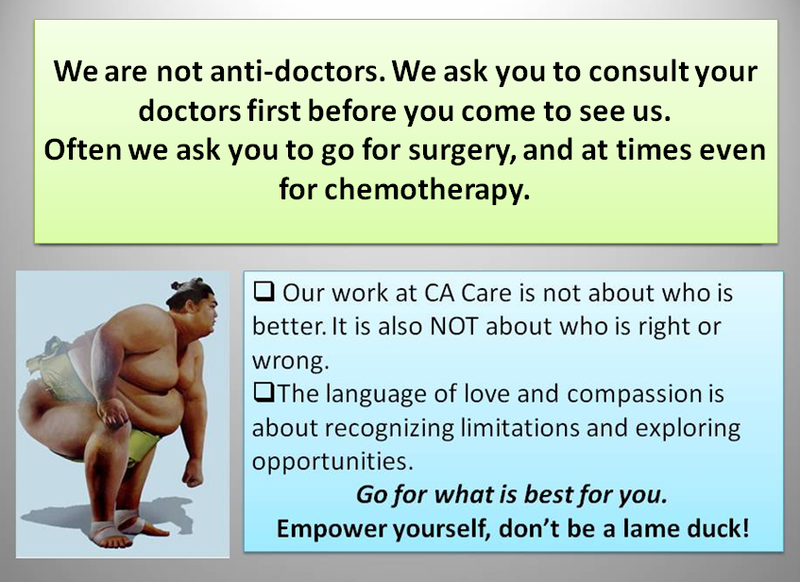 Many patients came to us with a belief that I would not ask them to see their doctors — to go for surgery or chemo them. Wrong! Let me be clear — we at CA Care are not anti-doctors. We want you to get the best and make you well. It does not matter if it is the Western or Eastern ways. Go for what works for you. This is not a religion — teaching you, if you do this or do that you go to hell or heaven. But before you embark on any treatment protocol, here are a few things you need to be aware of. Why do you seek treatment? Because you want to be cured, right? Unfortunately in the world of cancer treatment, cure is very elusive no matter what you do! I have seen enough over the past 20 years to know the game. 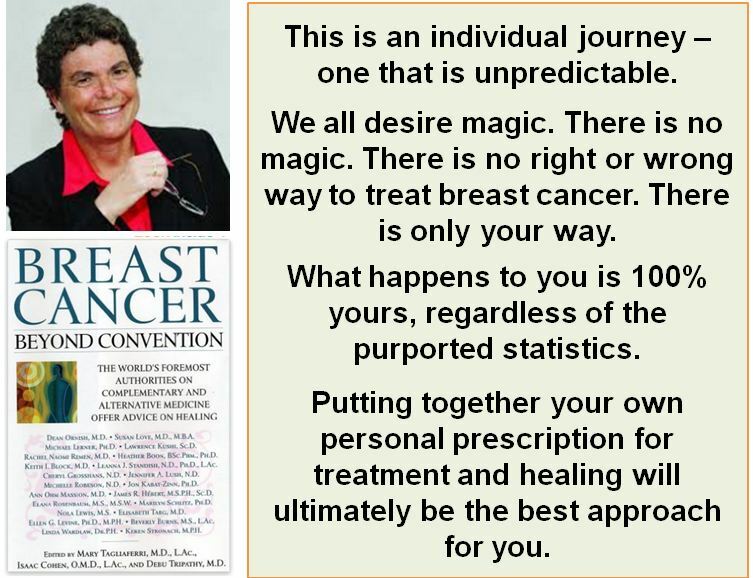 In addition to my own experience, read what others say about breast cancer treatment. So when SN came with her problem, I explained (as in the video below) the big problem facing her. Do not be misled that by taking our herbs, we can cure her! No way. The only sensible thing to do is try both the medical way and the traditional way. What choice have we? And by doing that, let us hope for the best outcome. The rationale of going for chemo is to try to shrink the tumours, even if it is just a temporary reprieve. At the same time, SN should take the herbs and take care of her diet properly. Doctors often tell their patients not to take herbs while on chemotherapy for fear of harmful interactions. There is no basis for such fear. Through my years of experience I know that patient who take herbs while undergoing chemotherapy fared better! 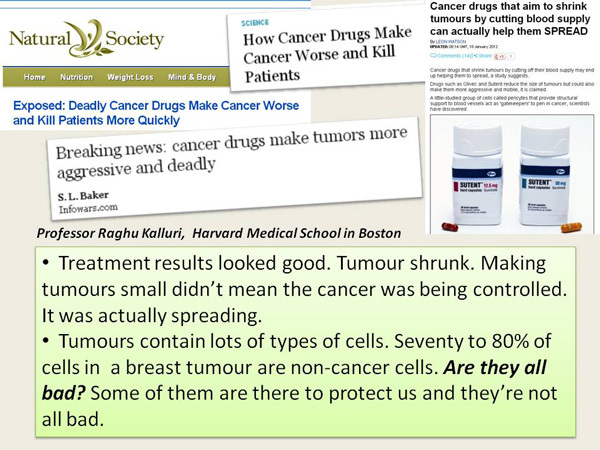 Since their doctors are against such practice, and to make their oncologists happy, patients do not tell their doctors that they are on herbs! So, there is no chance for doctors to learn something new that they don’t teach in medical school. You may wish to ask me, what do I expect out of this “adventure”. I must admit I don’t know. As said earlier, I am just hoping that chemotherapy would shrink the tumours a bit and this would make it “easier” for the herbs and diet change to help her. I am asking SN to try 3 or 4 shots of chemo only. I am also aware that chemo can kill. Over the years, I also know that patients ended up dead after one or a few shots of chemo. So that is the “gamble” we have to take. 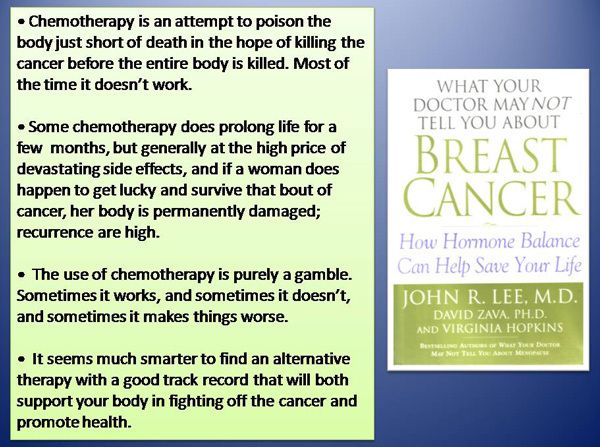 Read what these doctors say about chemotherapy. If the patient don’t die because of chemo, I am also aware that chemo can SPREAD and make the cancer MORE AGGRESSIVE besides causing much damage to the body. 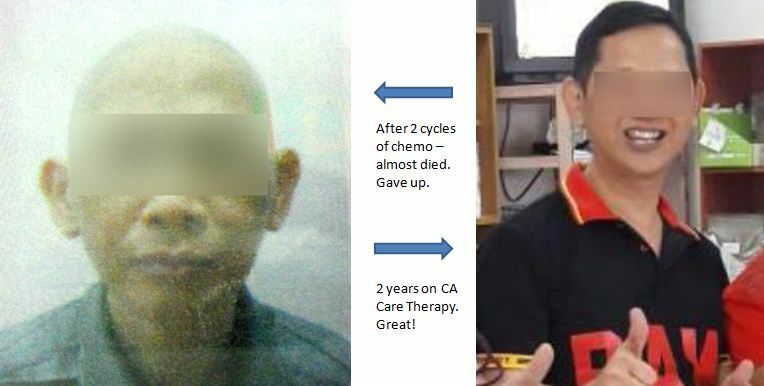 If these are the risks, why on earth you, Chris Teo, asked SN to go for chemotherapy? That’s the only way I know how to help SN with her problem. I am mindful of the advice of Dr. Jerome Groopman below. I am glad that with the above explanation, SN agreed to try chemotherapy (not the full 6 or 8 cycles though!). I shall report the outcome of this effort in Part 3 of this story later. Ovarian Cancer: Surgeon said, ten patients had chemo, ten patients died. Chemo would cost IDR 120 to 240 million — cost of a house! Lan is a 55-year-old Indonesian lady. About two months ago, August 2016, her stomach felt bloated and she passed out “oily” urine. She consulted one doctor after another (five in all) and was told she had gastric problems. One doctor in Jakarta examined her and said there was nothing wrong with her! She was given medications by these doctors, but her problem persisted. She eventually consulted a doctor in a private hospital in Jakarta. A blood test, done on 22 September 2016, showed her CA 125 was at 4,563.8 (normal = 35.0) and her GGT was elevated at 92.0 (normal 9.0 – 36.0). The rest of the blood parameters were within normal range. A CT scan, done the next day, showed a cystic lesion in the right ovary, measuring 3.5 x 2.85 x 2.0 cm. There was a bit of fluid in the lower lobes of her lungs. Lan underwent a total hysterectomy on 28 September 2016. The operation was done in Jakarta and cost IDR 49 million. Before the surgery, 3 liters of fluid was tapped out of her abdomen. Histopathology report confirmed a malignant well differentiated adenocarcinoma, probably originating from the ovary. As a “standard operating procedure” the surgeon suggested that Lan undergo 4 to 6 cycles of chemotherapy since there is no knowing if the cancer had already spread to other organs. Lan asked the surgeon if chemo was going to cure her. The surgeon replied: From my experience (practising in Germany for 30 plus years) ten patients had chemo, ten patients did. Lan returned to her hometown and consulted a gynae-oncologist. Lan was told that the doctor in Jakarta who operated on her did not remove the cancer completely. From the USG, he told Lan that the cancer had spread all over. 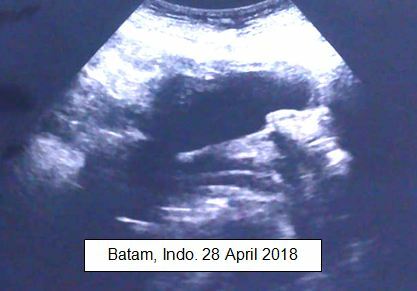 Lan sensed that this gynae-oncologist was not happy with her because she did go to him for the operation but instead went to Jakarta for the operation. Lan had consulted this gynae-oncologist before her operation. Anyway, according to the gynae-oncologist, Lan had to undergo 6 to 12 cycles of chemo. Each cycle of chemo would cost IDR 20 million. Chris: That means with 12 cycles it is going to cost you IDR 240 million? Is that big money? Daughter: That is roughly what a house would cost — IDR 240 million. C: So, if you spend IDR 240 and is cured, it is okay. If you die, 240 million gone and a house also fly away. Did you ask this gynae-oncologist if the chemo he is giving you is going to cure you? D: The doctor said: Mungkin sembuh (probably can cure) tergantung kepada semangat hidup Anda (it all depends on your will to live). C: Did you ask if he has any medicine to make “your will to live” stronger? You now know that chemo cannot cure you for sure. And according to the Jakarta surgeon, ten patients underwent chemo, ten of them died. What does that tell you? You know that chemo will make your life miserable — all those side effects. That is, if chemo does not kill you and if you continue to live. Chemo is going to cost you a house — IDR 240 million. I cannot tell you to go for chemo or not to go. It is up to you to make your own decision. Even you take my herbs, there will be no cure. But at least, by taking the herbs and taking care of the diet, it is not going to cost you a house! I don’t know of any way to get out of this. You go for chemo, you will die one day. Take my herbs, you will also die. So what path do you want to take? I also warned Lan that our therapy is not easy to follow. The herbs taste awful. And she has to take care of her diet. My advice to all patients: We don’t have any magic bullet for your problem. Our therapy is not easy to follow. If you cannot cope with that, then please do not come and see us. KJ is a 70-year-old Indonesian lady. About three years ago, she found a lump in her right breast. She did nothing about it. Then later she went to a Chinese sinseh for help. She was given some herbs to take and poultice to use on her breast lump. The cancer became more aggressive. It grew bigger and started to bleed. It was only then that she sought the help of a doctor in the hospital in Medan. KJ received 4 cycles of chemotherapy. The tumour shrunk. KJ then underwent a mastectomy followed by 30 sessions of radiotherapy. Then KJ started to cough and her stomach was not feeling good. On 31 October 2016, barely 5 months after the completion of her surgery and radiation, the cancer came back again. The Indonesian doctor said KJ had to undergo another operation to be followed by more radiation. She was, in the meantime, prescribed the oral drug, Xeloda. This drug cost IDR 3 million for each cycle (each cycle means taking the drug for 2 weeks, followed by 1 week rest). KJ came to a private hospital in Penang for a second opinion. A CT done showed the cancer had spread to her lungs, lymph nodes, liver and spine. Although KJ did not have pain, she was prescribed liquid morphine and was also told to continue taking the Xeloda. At first I was mad at KJ. How could you be so naive as to ignore the lump in your breast? And even more “dumb” to believe that certain pills or poultice from a sinseh could cure you! This is madness. But then, this is the way it is for most ignorant people. But for this patient, it is not ignorance — she thought she knew better! Later, I felt sorry for KJ. One of the causes of breast cancer, according to alternative healers, is extreme emotional stress. We learned that KJ’s husband was murdered by a young man, his former worker. Could this have triggered her breast cancer? I recall another case of a lady with breast cancer. It was similarly aggressive like this case. Although she did not want to share her experience, I later found out that her husband had committed suicide. Why did he end his life like that? Could it be because of his wife? And then, could this tragic episode be a trigger for her breast cancer? Ladies, if you find a lump in your breast, stop “fooling” around with it. Go and see a doctor immediately and find out what is it — benign or malignant? Medical science is good at telling you what is inside you. Alternative healers and sinseh can take you for a dangerous ride. If it is cancer, don’t fool around by trying this herb or that herb hoping that the cancerous tumour will go away. It will not go away. Have it removed as soon as possible. If KJ were to follow what I have said at the initial stage, at least she would not have to suffer — no need chemotherapy before the surgery. Probably too, her cancer would not have spread that extensively or aggressively. Then, after the surgery, patients are generally told to go for follow-up chemo and radiation. At this point, it is up to you to decide if you want further medical treatments. My experience tell me even if you do NOT do all these, you need NOT die of your cancer, although the doctors may want you to believe otherwise. KJ’s case is a case of too advanced, too late. Because of that, even surgery for such a “too late” case would not work. I cannot see how it helped KJ. Doctors often ask patients to go for chemo and/or radiation, if the tumours are large. They hope that these treatments would shrink the tumours. This makes surgery easier! Good logic but it rarely works as you can see in KJ’s case! As for me, I have seen such failures many times to enable me to write this comment. 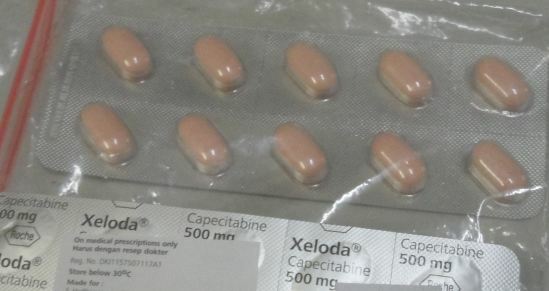 The doctor in Medan prescribed Xeloda. When KJ came to Penang and consulted another doctor she was told to continue with Xeloda and in addition take liquid morphine! This must be a cruel joke! Why morphine when she is not in pain at all? Morphine is going to cause constipation, etc, etc. Then why Xeloda? Go to the Net and learn more about Xeloda. 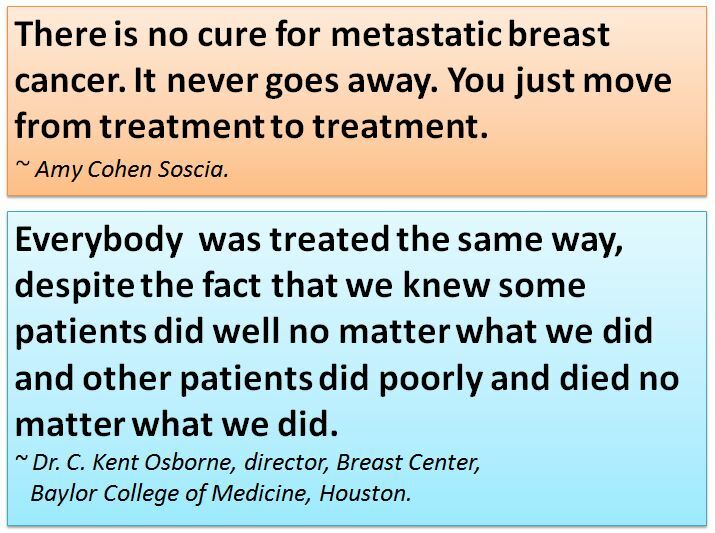 Can Xeloda cure metastatic breast cancer? KJ’s cancer has already gone to her lungs, liver and spine. What can Xeloda do? The US FDA first approved Xeloda in 2001 for the treatment of metastatic colorectal cancer. Yes, with time the use of Xeloda was expanded for breast cancer! The drug for colon cancer now also become the drug for breast cancer! Do you see how they perform “magic” here? Why can’t we all be honest. Read what the late Amy Cohen said before she died. At CA Care we tell patients that cancer cannot be cured. Even if you follow our therapy, we cannot cure you. We don’t want to mislead you into thinking that we are “magicians with magic bullets.” But for those who want to know what we do to help patients, take time to listen to all these videos. After listening to all these videos, if you think we can help you, then come and see us with all your medical reports and scans. Her tongue is healing well. Her health is restored! Nur (not real name) came to our centre this morning. She put out her tongue and said she can now taste her food! Health wise she feels great! Listen to what she shared this morning! Nur: My tongue is much better now. I don’t feel like there is a thick layer on top of my tongue. When I eat chilly, I can feel the “pungent and biting” taste. Before I was not able to feel that. Chris: So, your food is more tasty now? N: I don’t feel tired anymore. Before I could not even perform my daily prayers. Now, I can pray even 20 times a day. Before I had to receive a weekly infusion to energize me, but I don’t need it now. Now, I can do all the house chores while my children go out to work. Before that I was not able to do a thing at home for lack of energy. There is no more blue-black patches on my arms and body. They are all gone. My skin do not itch anymore. I give Nur a great thumb up! She is indeed an amazing, dedicated and adorable patient. To come to Penang, she needs to take an 8-hour bus ride to Medan. From Medan she then flies to Penang by plane. By about 11 am or 12 noon, she arrives at our centre, talks to us and on the very same day she goes off to the airport to take the next plane home! She said, she would have a sleepless night if she stays overnight in Penang! In spite of this long difficult journey she did not complain. Wah, I have patients who “bargained, and asked for special consideration” just because they said they come from “very far.” And what is very far? A 10-minute drive across the Penang bridge! Or a 2-hour-car ride away! Or one and a half hour flight away. No one can beat Nur! She is very dedicated to her healing. Yes, the herbs have awful taste and smell. But she take them without any protest. She takes care of her diet and keep on doing what is right for her. On one occasion she took pempek. Her whole face swelled. We told her to stop that and she was back to normal again. One day, I told Nur to try taking pempek again! She refused — she learned her lesson very fast! For those of you who want to know what pempek is, click this link: https://id.wikipedia.org/wiki/Pempek. Pempek or empek-empek is a special food of Palembang. It is made from fish, sagu, egg, garlic, salt and artificial flavoring agents. This is one kind of food which patients should stay away from. She is a person with a grateful heart! When she was sick, she was unable to perform her prayers. Now that she is well, she said each day she performed 3 to 4 times more prayers than what is required of her! She is making up for the earlier loss. Whenever she comes to see us, with great difficulty, she carries a small box full of fruits or natural products from her kampong for us. No!no! patients need not have to do this at all. Why take all the trouble to do this when we can easily buy them here? In her own humble way, we know that this is a gift from her heart which we must appreciate. This is a great morning indeed. Thank God for this blessing.